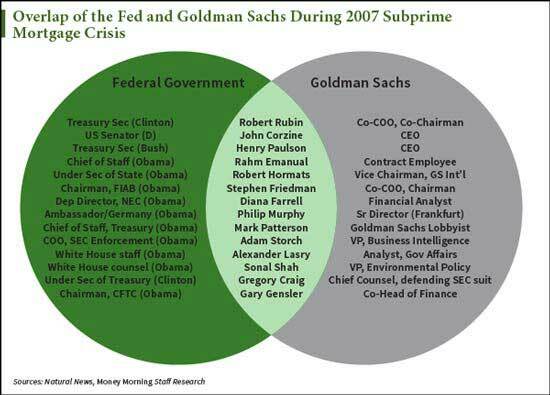 You see, Goldman Sachs Group Inc. (NYSE: GS) has special ties to the U.S. Federal Reserve. Currently, former executives head up the Minneapolis, Dallas, Philadelphia, and New York Federal Reserve branches. Yet just yesterday, Goldman Sachs was fined $15 million by the U.S. Securities and Exchange Commission for lending practices that violated federal law. Specifically, the firm allowed employees to perform inadequate reviews in responding to requests from customers looking to short stocks. “The bank also gave incomplete and unclear responses to SEC questions about its practices in 2013, which prolonged the exam,” the SEC said, according to Bloomberg Business on Jan. 14. Goldman Sachs agreed to resolve the SEC’s allegations — as usual, without admitting or denying the findings, the SEC’s report stated. 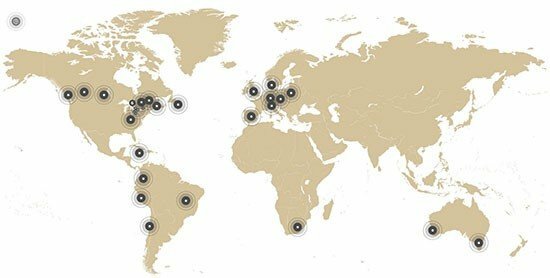 In 2003, Goldman Sachs paid $110 million as its share of a global settlement by 10 firms with federal, state, and industry regulators concerning alleged conflicts of interest between their research and investment banking activities. Also in ‘03, Goldman had to pay $9.3 million in fines in connection with federal allegations that it failed to properly oversee a former employee who had been charged with insider trading. In 2005, the SEC announced that Goldman would pay a civil penalty of $40 million to resolve allegations that it violated rules relating to the allocation of stock to institutional customers in initial public offerings (IPOs). That same year, it paid a fine of $125,000 to the National Association of Securities Dealers (NASD) for violating rules relating to the sale of restricted securities during IPOs. Shortly thereafter, it was fined $140,000 by NASD for late and/or inaccurate reporting of municipal securities transactions. 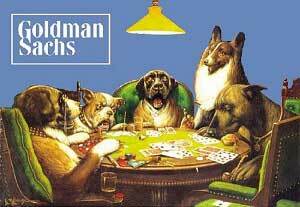 In 2006, Goldman was one of 15 financial services companies fined $13 million in connection with SEC charges that they violated rules relating to auction-rate securities. In May 2009, Goldman managed to get the state of Massachusetts to remove it from the attorney general’s investigation of abuses. It agreed to provide about $50 million in relief to holders of subprime mortgages in the state. In March 2011, the SEC announced that it was bringing insider trading charges against former Goldman director Rajat Gupta. Gupta was accused of providing illegal tips, including one about Warren Buffett’s $5 billion investment in Goldman in 2008, to hedge fund manager Raj Rajaratnam. Currently, Goldman Sachs is locked in a suit with federal regulators regarding the 2008 mortgage crisis. 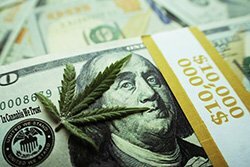 The proposed deal, which has not yet been finalized, reported Forbes on Jan. 19, includes a $2.385 billion penalty, an $875 million cash payment, and $1.8 billion in consumer relief. At least the $2.675 billion is tax deductible, which means a $936.25 million rebate for the bank at taxpayers’ expense. For more information on the mayhem created by financial behemoth Goldman Sachs, follow us on Twitter @moneymorning, or like us on Facebook. Anyone that still believes in the current banking system is a fool. If you don't have a secondary currency or the ability to trade in an alternate system from the petro-dollar, your resources are going to become very limited very soon.